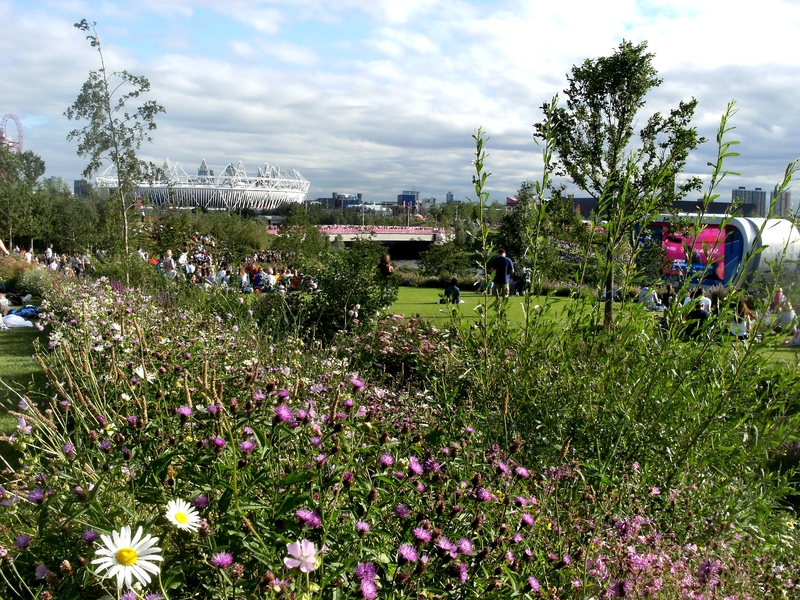 Going to the Olympic Park? Avoid the crush use Eton Manor Gate instead? If you’re going to the Olympic Park and are worried about the crush at Stratford, don’t forget you can also use the Eton Manor Gate on Eastway (near Spitalfields). Get off at Leyton tube and walk down Ruckholt Road or through the Leyton Mills trading estate past Asda and the pop-up food market on Marshall Road. It’s about 15 minutes’ walk from Leyton tube, or you can get the W15 bus from Leytonstone tube station (Leytonstone Plaza side) to Eastway (or the W14 to Ruckholt Road then walk about 5 minutes). Eton Manor Gate is the nearest gate from Leytonstone to the Velodrome, BMX Track, Basketball arena, Riverbank Arena and Copperbox and the bandstand and Park Live screen, but is the opposite end of the Olympic Park to the Stadium and Aquatics Centre — though a pleasant walk along the river and newly planted parkland. Olympic Park on Google Maps (If you don’t know the area, beware, some people have tried to gain a marketing advantage by marking up the Olympic Stadium wrongly on Google Maps, the correct location is near to Stratford Station).